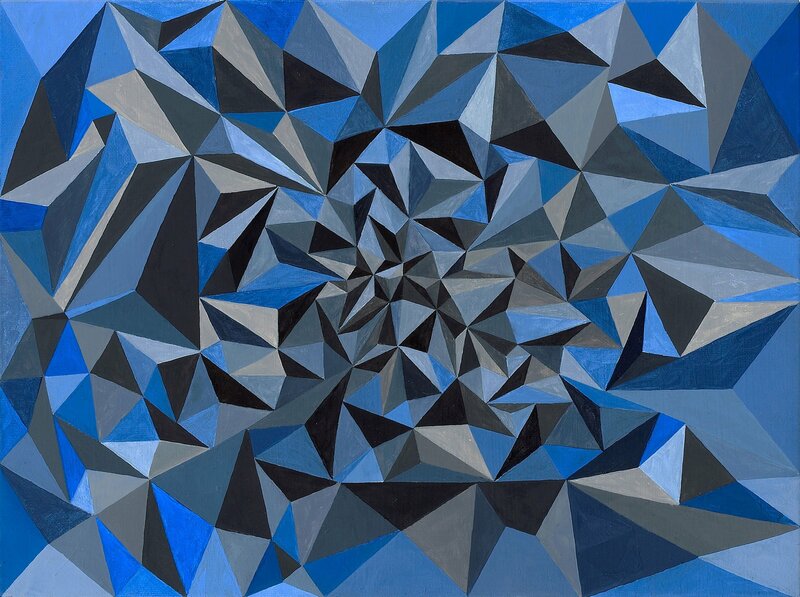 This piece is another study for a vortex in the tessellation of the night sky. I kept the lighting flat in an attempt to draw in the eye in with proportional shapes alone. 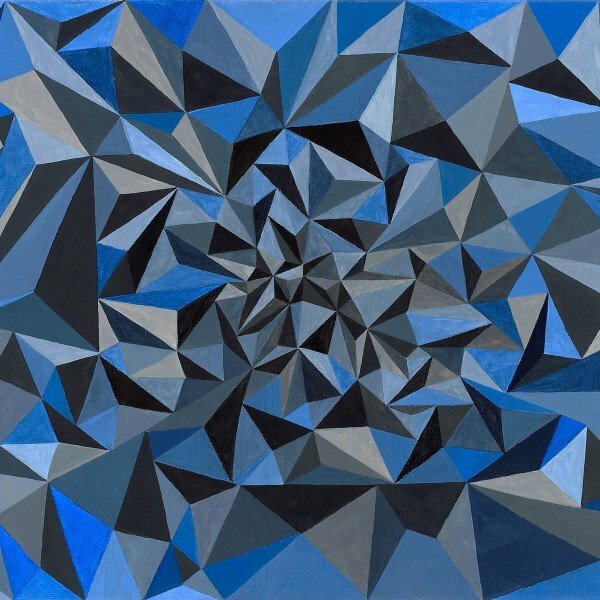 This piece was published in a high school math textbook in Australia as an example of a tessellation. I felt pretty honored that they understood it. Original painting is 24″ x 18″. Oil on Canvas.